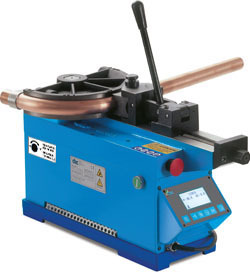 UNI 42, electric, an accurate and powerful bending machine able to bend large diameters as well as thin and delicates pipes with optimum and constant bending radii and without any pipe deformation. - Digital control panel with microprocessor for programming the angle of bend. Capable of storing 9 bending with 9 bend per program. 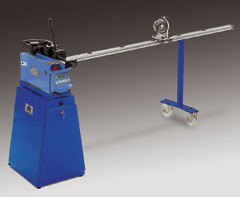 UNI 42 digital, complete with moving plane of bend and universal base.